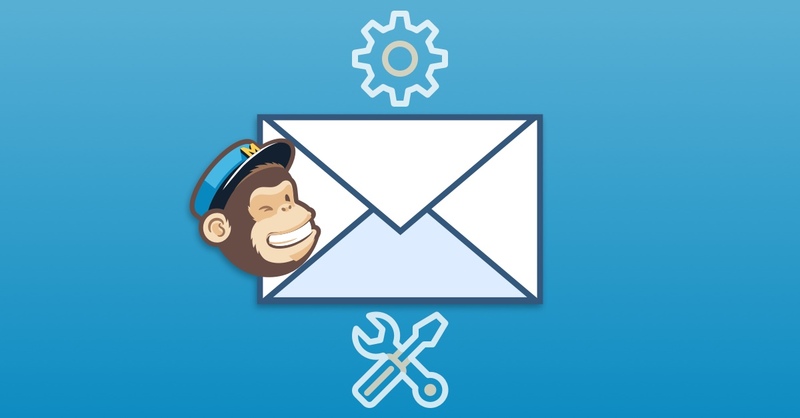 Want to create better emails with your MailChimp account - and in less time than before? Then you need some tools, baby. Email marketing tools like the ones we've listed here. Want to send better emails? Who doesn’t! But let’s face it: We’ve got a limited amount of time to create them. There are only so many hours in the day. The next deadline is always coming. That’s where email marketing tools come in. There are a slew of handy (often free) tools that make your emails more clickable, more deliverable, more shareable… more of all the good things. They can help you improve your emails without you having to stay at work into the wee hours. 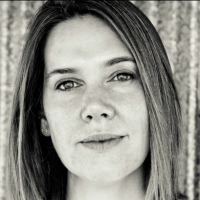 If you’re a MailChimp user, you’re particularly lucky. 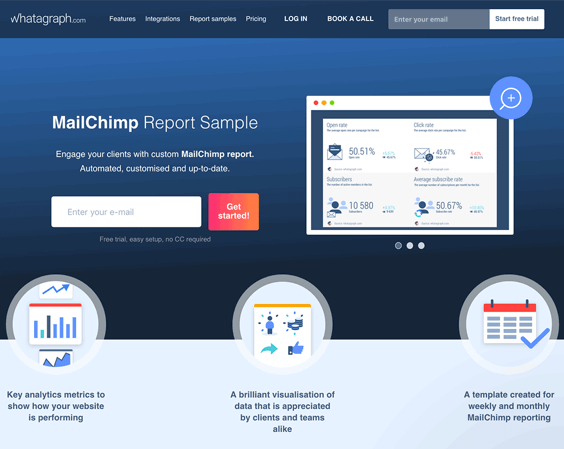 Because MailChimp is one of the most widely used email service providers on the planet, most tools work with it. 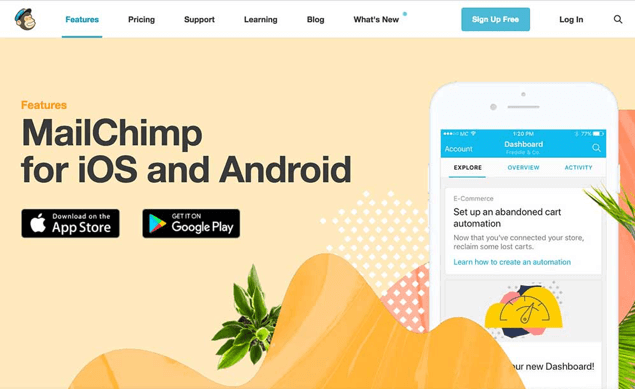 So to help you send ever-more-awesome emails, here’s our big list of awesome email marketing tools to use with your MailChimp account. 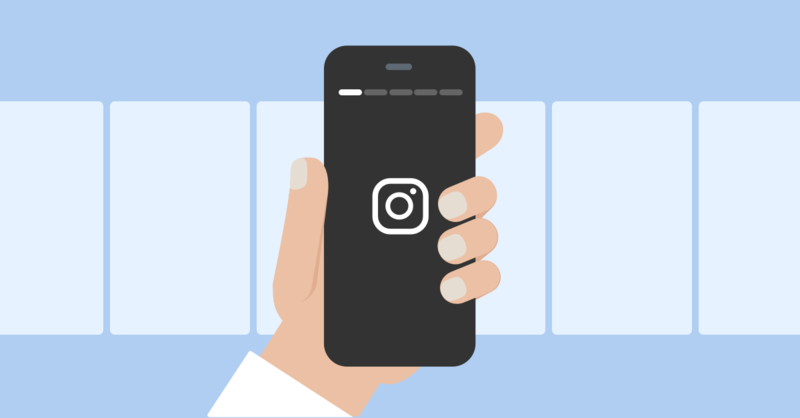 We’ve rounded up tools to cover almost every aspect of your marketing, from audience research to video marketing, analytics to social media. And they all play nice with MailChimp. 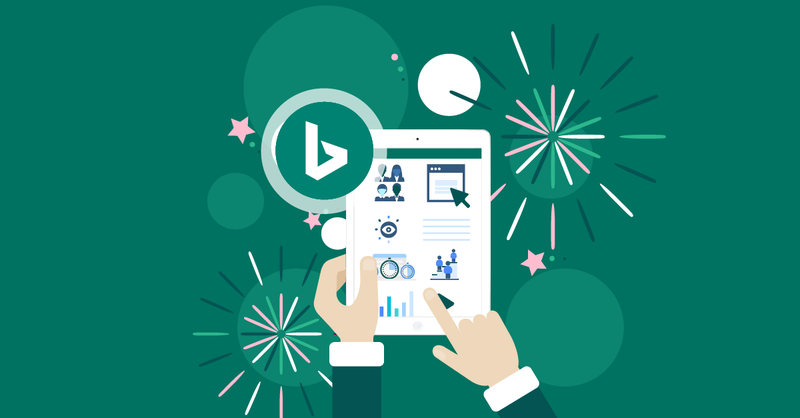 Even if you’re a marketing tools aficionado, there’s probably a new find here for you somewhere on this list. There are no shortages of free image libraries, but if we had to pick one, it would be Unsplash. There are over 550,000 stunning, don’t-look-like stock photos photos available to use for free. You don’t even have to add a photo credit, though it’s appreciated if you do. 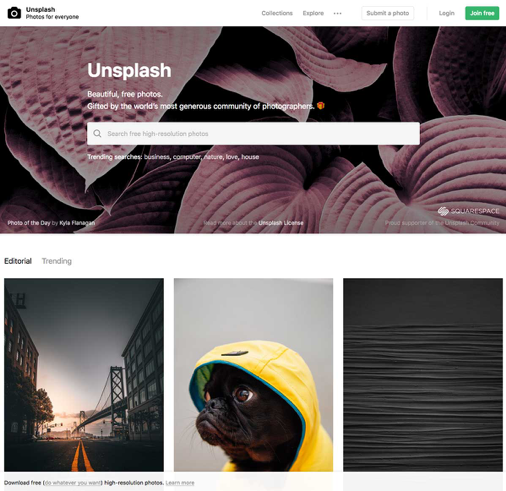 Unsplash also lets you create an account and save photos to collections to find later. So the next time you want to be productive when you barely have the energy to lift a finger, spend some time finding and sorting photos here for later use. Images are great, but they can inflate the file size of your emails. If that file size gets too big (like over 100KB), you could start seeing deliverability problems. The solution? If you’re a PhotoShop whiz, just shrink those images down as you would for any webpage. 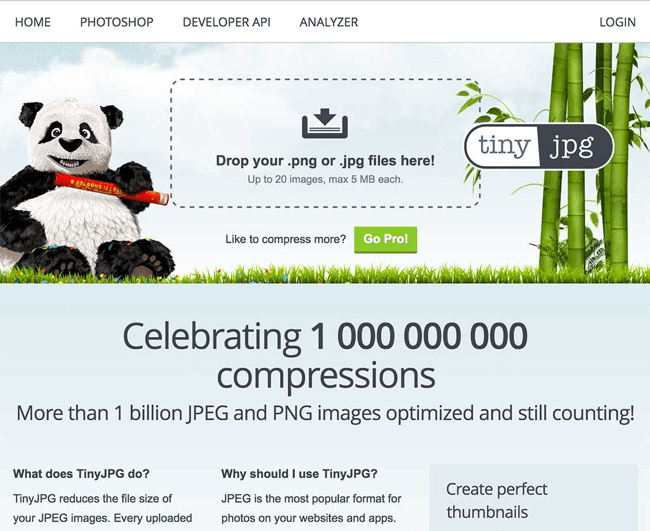 But if you’re not, have no fear: TinyPNG and TinyJpg are a user-friendly, zippity-quick way to shrink photos and maintain image quality. Note: Both these URLs lead to the same site. It all comes down to the call to action. Getting people to click-through and take action on your email is the whole reason you sent the email in the first place. So don’t let a broken image kill your conversions. Use CSS buttons instead of image buttons. And don’t freak out about trying to code that. 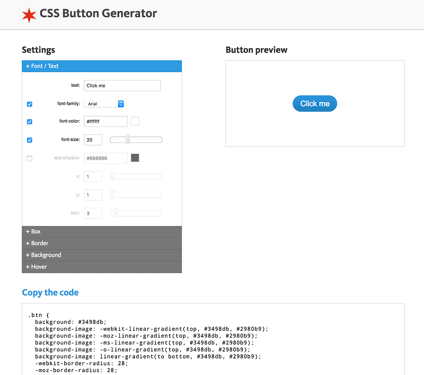 The CSS Button Generator makes it a snap. 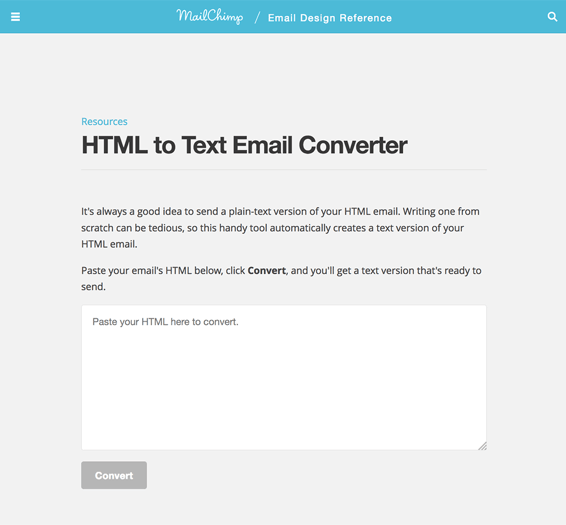 Many email service providers make it easy to send either text or HTML versions of your emails. Thanks to this tool, MailChimp makes it easy, too. 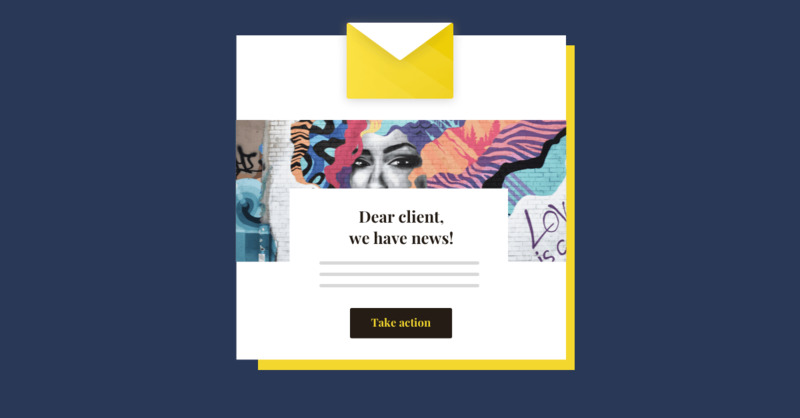 MailChimp has enough newsletter templates to keep most designers happy. But if you want to make customizations to match a brand’s color, you will need to adjust the colors in the templates. If you’re not a designer, picking a color palette can be daunting and time-consuming. But not anymore. 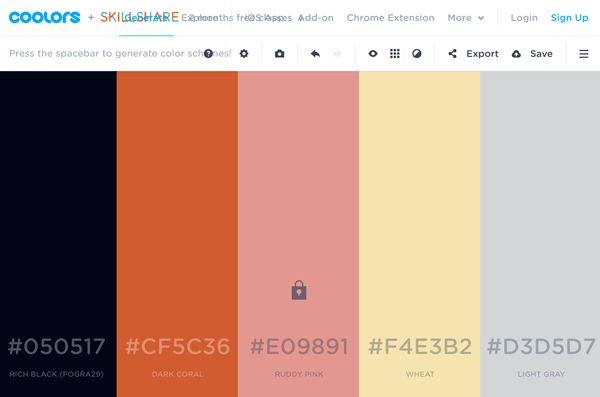 Coolors is a free tool to create gorgeous color palettes – superfast. It includes hex codes, and lets you pick any one or two base colors, then builds a palette around that. So if you’ve got brand guidelines you have to follow, or even just a logo’s colors, you can create a gorgeous color template in about five minutes. Tired of WordPress? 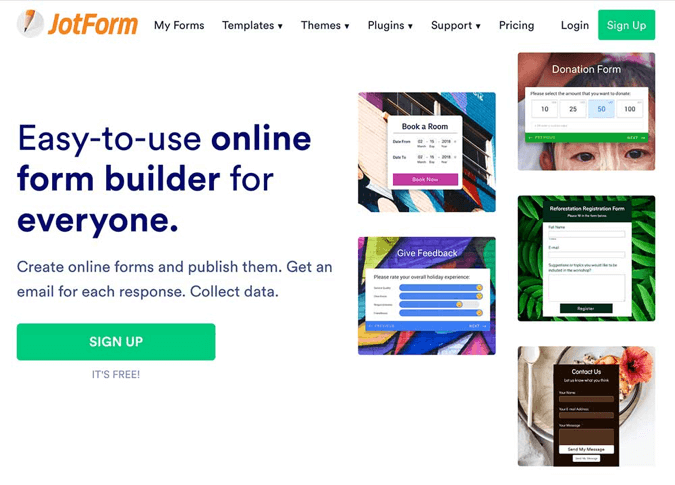 This popular website building tool is actually preferred by many designers. You’ll have no trouble getting it integrated with MailChimp. Want to build your list like a pro? Then consider paying for a year of Optin Monster. 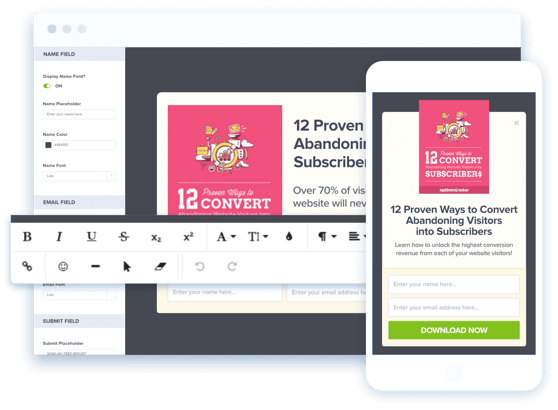 This pop-up creator on steroids is certainly not the only pop-up creator that works with MailChimp, but it is arguably the best. If you’re serious about getting more email subscribers this year, consider investing in this tool. Free alternative: SumoMe, but you can use it for free only up to 200 subscribers. Want to ask everyone who comments on your blog if they want to sign up for your emails, too? That’s what this clever little plugin does. An odd name for a simple idea: Offer giveaways with your MailChimp account in order to build your list. 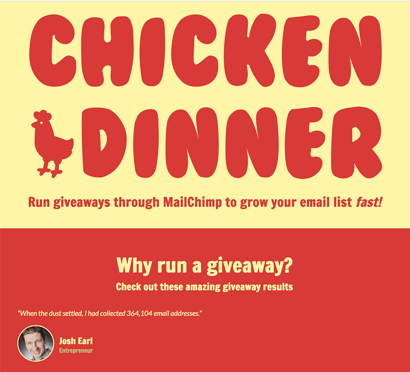 Chicken Dinner was built expressly for MailChimp users. Have you created any interactive content yet? Any quizzes, calculators, or assessments? They can be a killa way to get more email subscribers. 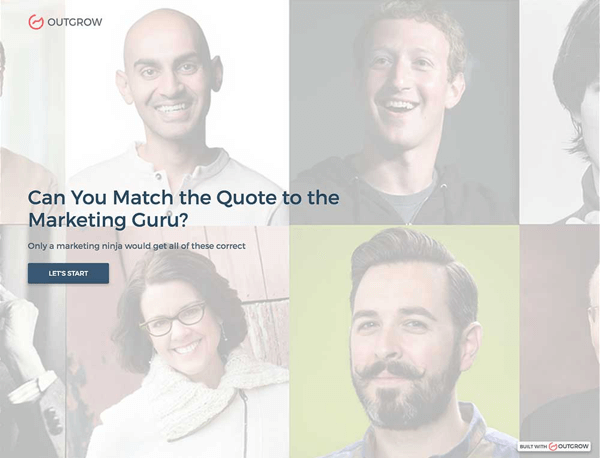 Outgrow is not the only tool around to let you create interactive content, but it is one of the better ones. And it works seamlessly with MailChimp. There are many subject line testing tools, but this is almost certainly the best. Unfortunately, it’s also one of the few paid subject line testing tools. But there is a free trial, and plans start at $69 a month. If you have enough of an email marketing program to pay for this, definitely try it. Especially if even a 10% increase in your open rates would pay the monthly fee. There’s a very famous web design book called, “Don’t Make Me Think”. That applies to design, for sure – but it also applies to copywriting. Here’s the deal: If your emails aren’t easy to read, people won’t read them (or far, far, far fewer people will read them). Part of making your emails easy to read is to use headers and subheaders. Short paragraphs, high-contrast, well-sized type. And part of it is writing sentences that don’t make your readers have to squint and think to understand you. 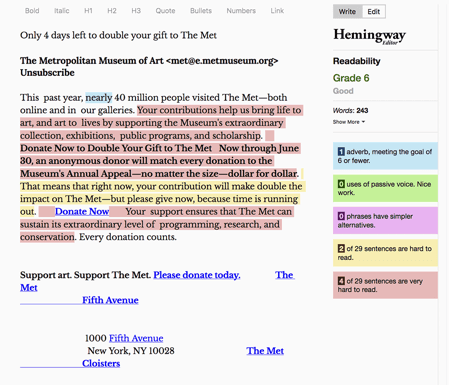 The Hemingway app will tell you how easy your copy is to read. Aim for a 5th-grade reading level. Surveys are one of the best tools for learning about our audiences (though reports are pretty great). And having smart forms means you can also do better lead generation and get more conversions. 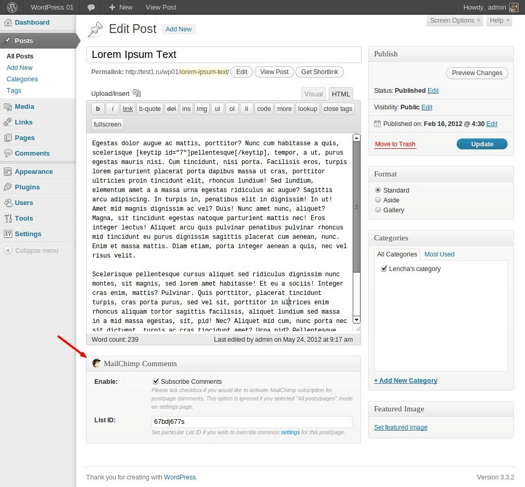 Formstack and JotForm let you do all of that, and they both work well with MailChimp. 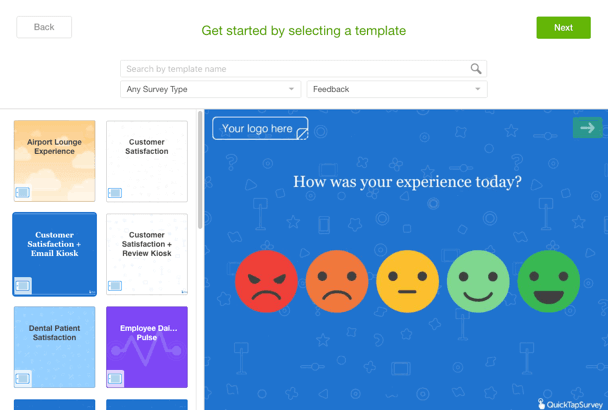 So do Survey Monkey and Typeform, too. Got a retail location? Doing an event? Use this iPad, iPhone or Android app to capture email addresses and run quick surveys in person. It is will automatically export email addresses and survey responses to MailChimp. Want to add a countdown timer to an offer? Or send emails with personalized images (not just plain old personalized text)? 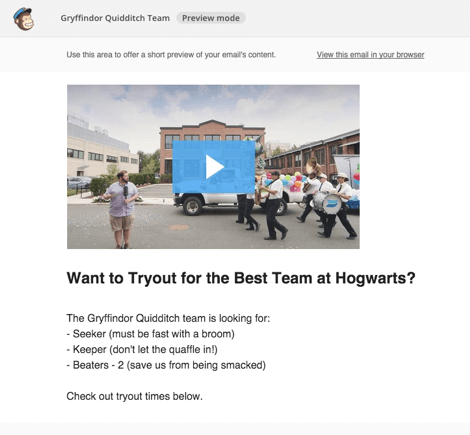 Or… perhaps coolest yet – include a live social media feed in your emails? Nifty Images can do that and more. And, of course, it works with MailChimp. Email marketers should be using landing pages far more often than they are now. Unbounce makes it easy. And it’s made for MailChimp. 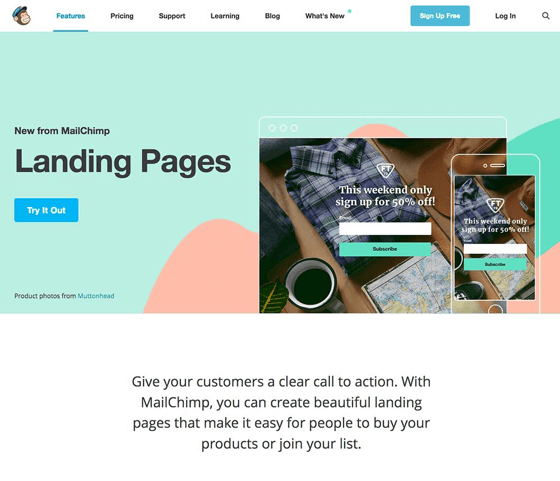 Of course, MailChimp offers landing pages, too. This one’s for you developers and coders. Know how you can view the code of any webpage? That’s what Scope does for emails. 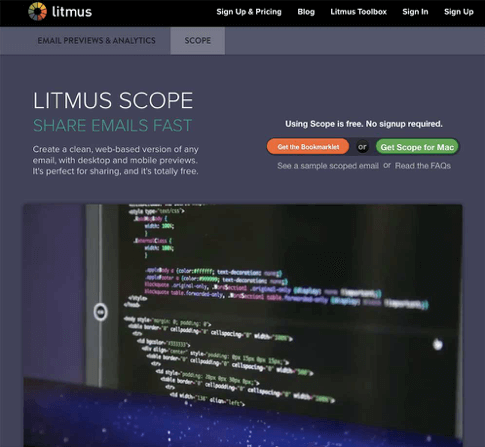 If you code emails even some of the time, Scope is a great tool to be able to peek in and see how other peoples’ emails are working. Because imitation is the sincerest form of flattery. Need to get a newsletter or a marketing email out while you wait in an airport? While you’re en route somewhere in a taxi? During a meeting… or even out at the dog park? No problem. The MailChimp mobile app is your go-to on-the-go tool. For iOS or Android. 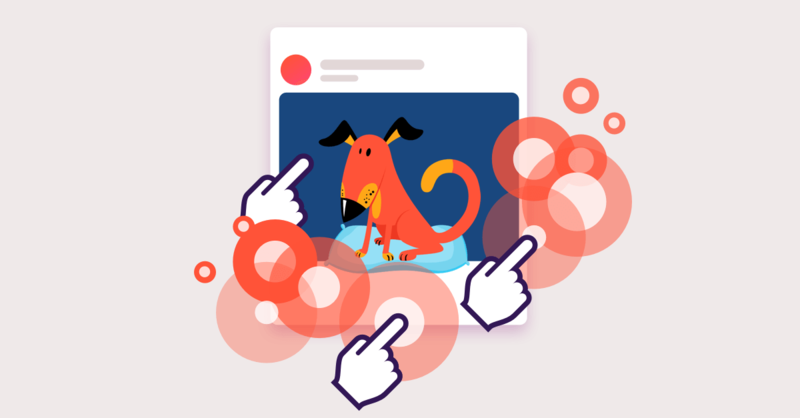 Content curation is the practice of gathering up interesting bits of content, organizing that content in an interesting way, and explaining why it matters in an interesting way. Curation can be a great complement to content marketing, but it can be especially good for newsletter content and production. There are a slew of content curation tools built expressly to help people assemble nice curated newsletters. You’ve heard how Facebook Messenger is the hot new thing for communicating with customers, right? 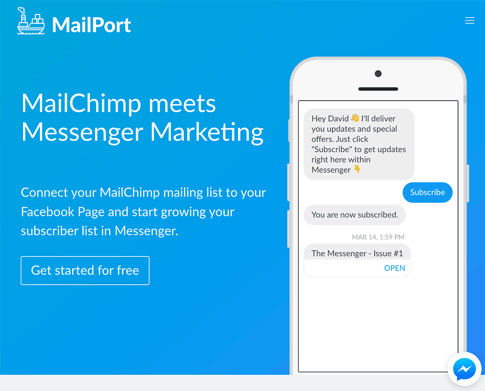 How Messenger communiqués are getting 80% open rates and four to even ten times the click-through rates of a typical email newsletter? You’re on it anyway – might as well hook up Slack to MailChimp. But if Asana is your jam, no problem. It works well with the monkey. 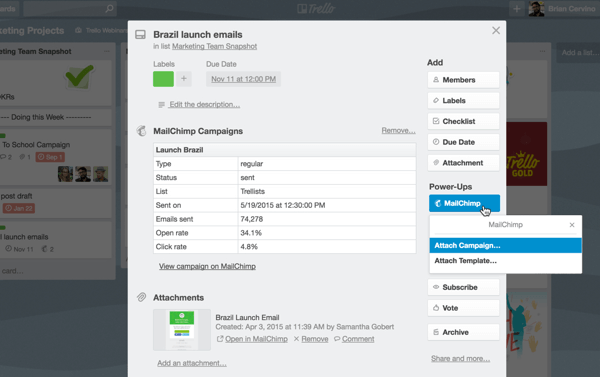 You can set up a Trello Power-Up for MailChimp, too. Want to do more video marketing? Or maybe you’re already doing video marketing, and want to do more of it or do it better. If so, consider the video marketing tool Wistia. 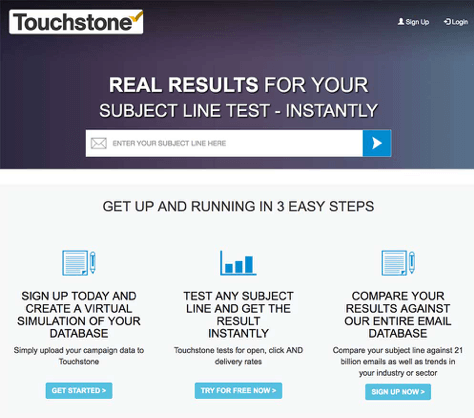 Its Turnstile lead generation feature works with MailChimp. And, of course… if you’d like to send a video in an email… Wistia’s got detailed instructions for exactly how to do that. Just follow the link right above. Want to sell stuff on your blog? 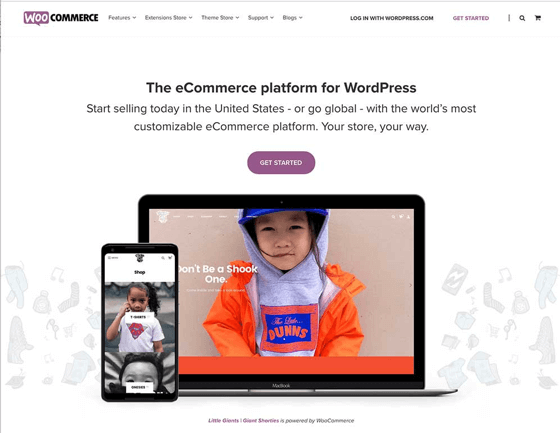 Woo Commerce makes it happen, and it also integrates perfectly with MailChimp. Also consider using the this cute “Wheel of Fortune” style app to get more signups. And don’t forget mighty Shopify. They integrate with MailChimp, too. We’ve covered an awful lot of different tools here. 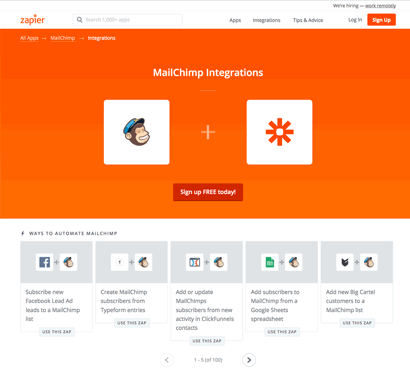 But just in case there’s still something you want to do with MailChimp that none of these other tools can handle, meet Zapier. Most marketers will have heard of Zapier. If you haven’t ever used it, you’re past due. 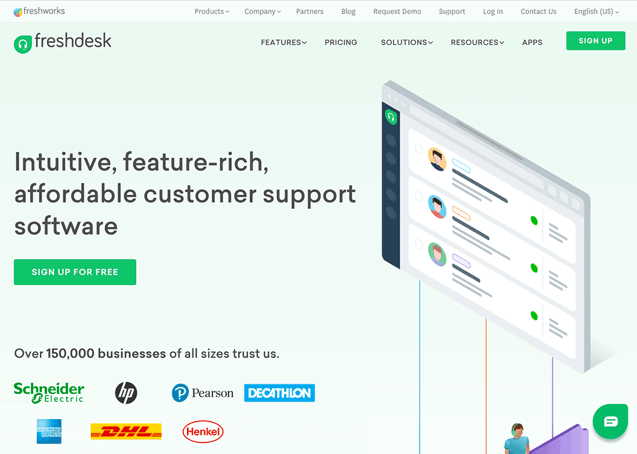 This tool works with hundreds of other tools, including MailChimp. It lets you create and automate actions between those tools. With just a little bit of study and experimentation, you can enjoy a lot of automation power… and maybe even a few less hours of work every week. You get it, right? MailChimp works with a lot of different tools. That’s one good argument for using it over other email service providers – MailChimp’s user base is so huge, every developer wants to be sure their tool works with it. Want to go beyond the basic features of your MailChimp account? We'll show you how here, with step-by-step instructions. 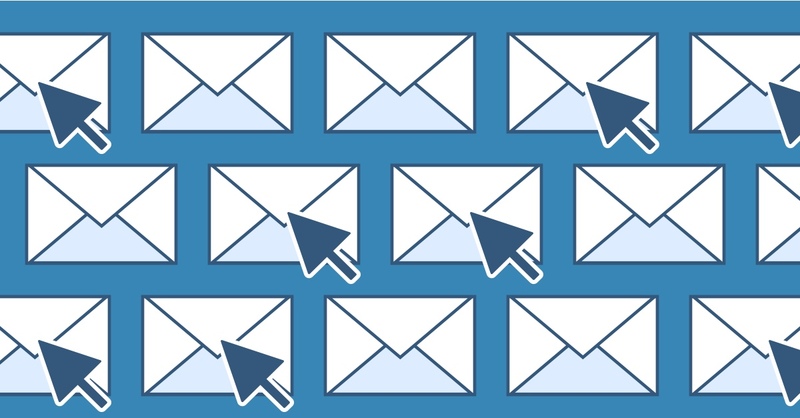 These ten ways to get more clicks from your emails are proven to work, and will improve your other email marketing metrics too. 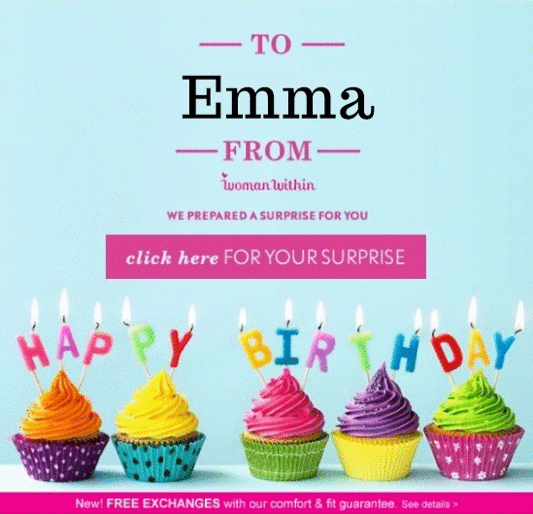 Want your emails to get higher open rates? Who doesn't! 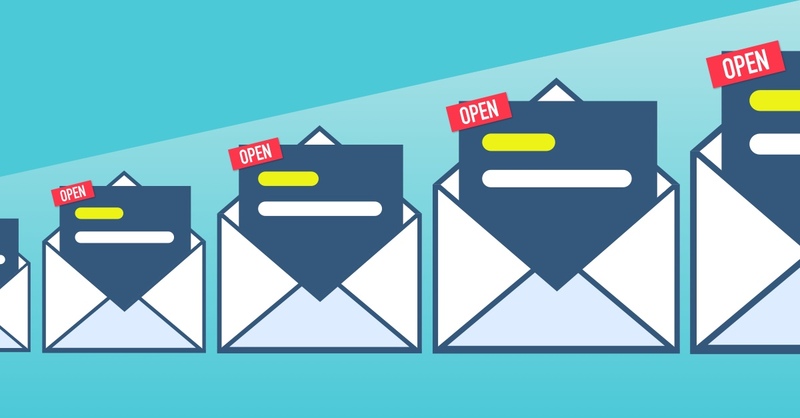 So check out our list of ten research-backed, time-tested ways to get more opens. Several of the tactics listed here could increase your open rates by 20% or more.